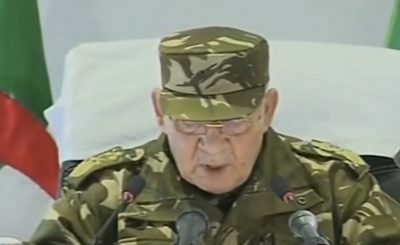 Lieutenant General Ahmed Gaid Salah, the Vice Minister of Defense of Algeria and the Chief of Staff of the People’s National Army, declared that President Abdelaziz Bouteflika is unfit to rule based on his health. This declaration from a loyalist to Bouteflika – and a senior person inside the political and military elites of Algeria – appears to be a power concentration political maneuver. After all, the Chief of Staff and the leader of Algeria have close ties based on friendship and preserving the status quo. If the Chief of Staff is sincere, then more important comments will need to follow in order to placate the majority of demonstrators, who are disillusioned with the political system. Hence, the following days will note if real change is in the offing, or if this is just based on preserving power concentration. Lieutenant General Ahmed Gaid Salah seeks to trigger Article 102 of the Constitution of Algeria based on the president being deemed “incapacitated.” It is hoped that this will be part of a political solution to solve the crisis peacefully. Lieutenant General Ahmed Gaid Salah is focused on the Constitution in order to solve the political crisis. He uttered, “the only guarantee to preserve a stable political situation” was a constitutional way out. It remains to be seen if this will placate the masses that seek change in Algeria. 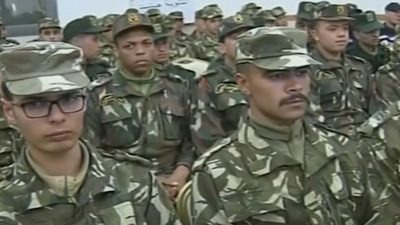 Similarly, some people fear that the army may declare a “state of emergency” based on Article 105 of the Algerian Constitution. Hence, the following days may indicate if a change is in the offing based on a broad approach to the crisis, or if the armed forces will seek to preserve the power concentration of the elites.